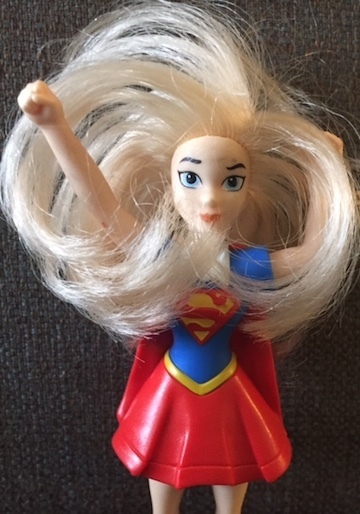 What DeDe doesn’t know is that she is slowly turning into Supergirl. Or to be consistent with her Superheroic Legacy, she’s inheriting the powers of SkyBoy, a caped crusader who’s been MIA for the past 16 years. 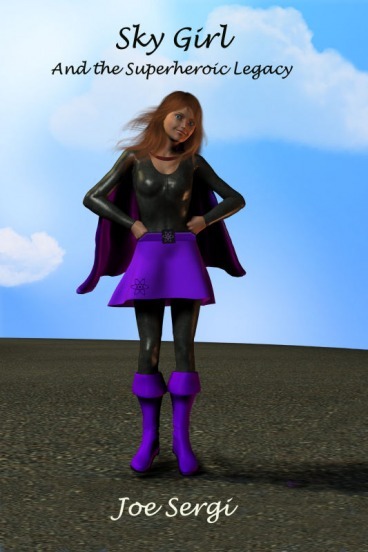 DeDe is a plucky girl who grapples with her emerging superpowers with a little bit of angst and a lot of humor. Thankfully she’s got the support of her comic book-collecting best friend. He’s done a little research and it turns out the answers to her dilemma can be traced back to the very first issue of Giant-Sized Superheroic SkyBoy. Who says reading comic books is a waste of time? Sky Girl unspools like the final ten minutes of a twisted episode of After School Special. Along with the requisite bitchy rival and the seemingly unattainable cute jock, there’s also an evil chimp, a towering mechanical ape, and a kung fu-fighting tiger woman. When the dust settles there are still a whole bunch of questions left unanswered. Antsy readers can probably pick up a copy of Giant-Sized Superheroic SkyBoy #2 for more clues about DeDe’s future superheroic travails. For the rest of us, we’ll just have to wait for the upcoming sequel, Sky Girl and the Superheroic Adventures. This entry was posted in Published in 2010 and tagged Joe Sergi, Sky Girl and the Superheroic Legacy. Bookmark the permalink.